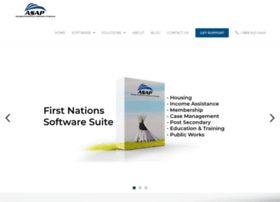 Canadian First Nations Software suite including Housing, Income Assistance, Membership, Case Management, Post Secondary, Education & Training, Public Works. Contact us today to talk about our First Nations Software Solutions! Hosting company: Host Papa, Inc.